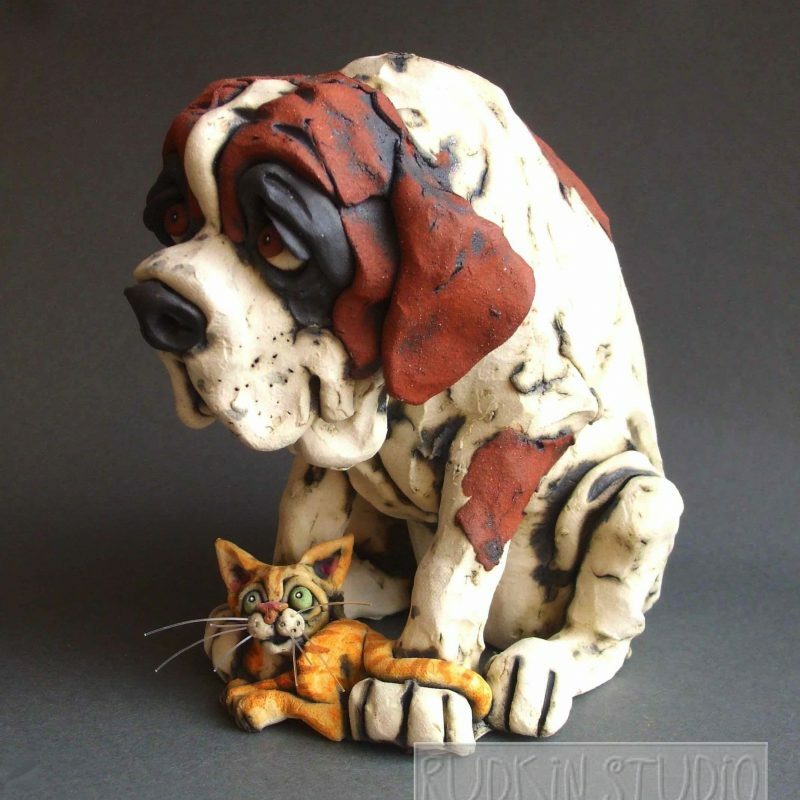 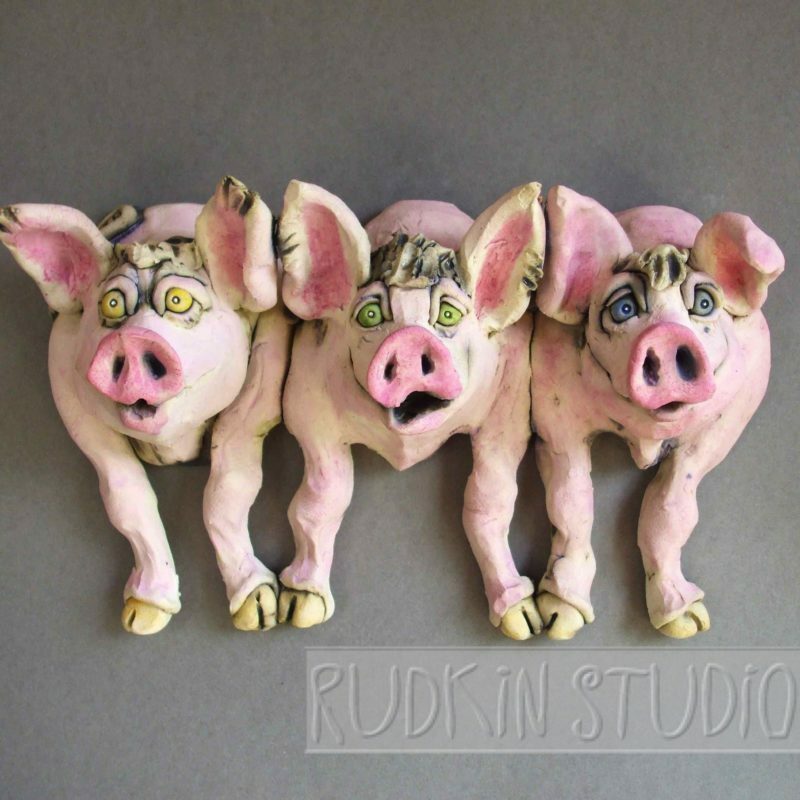 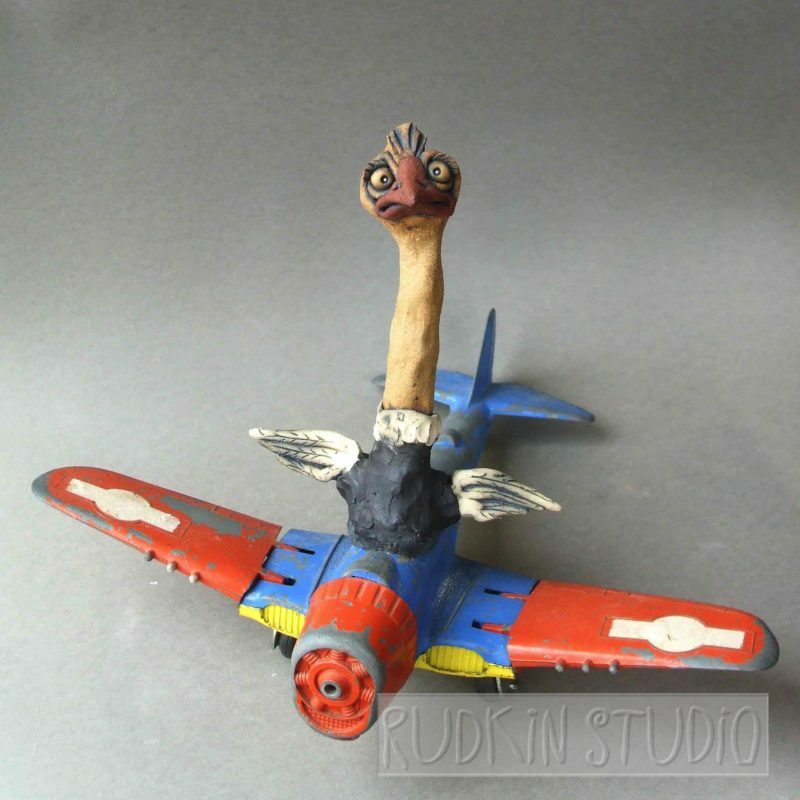 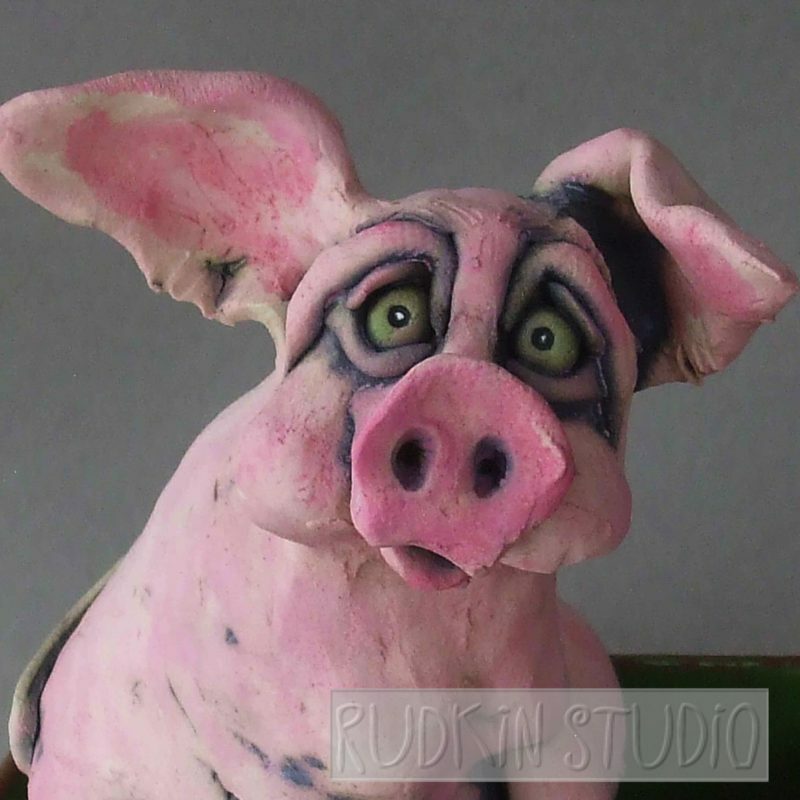 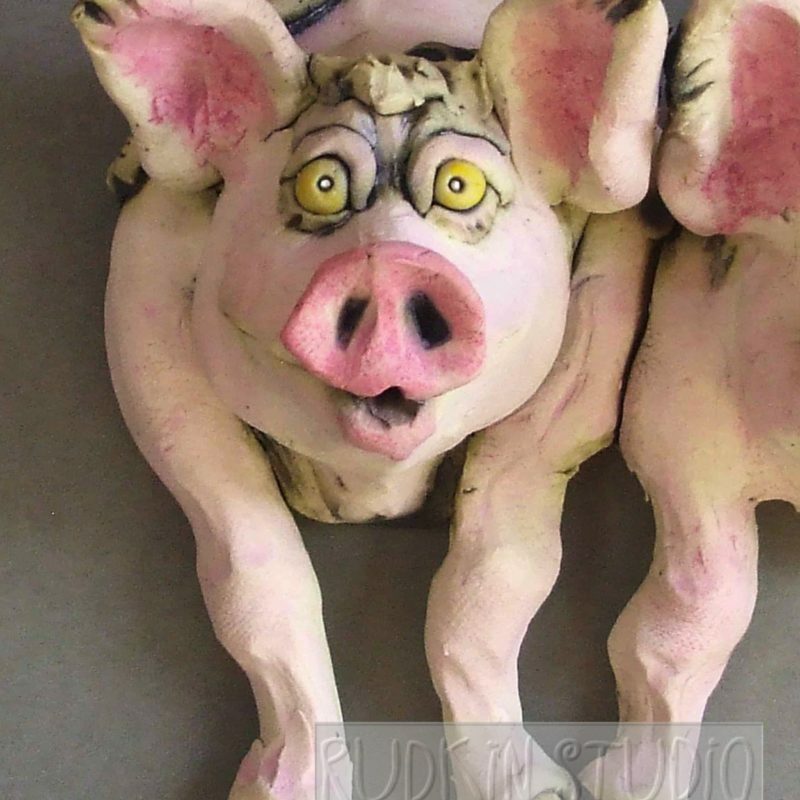 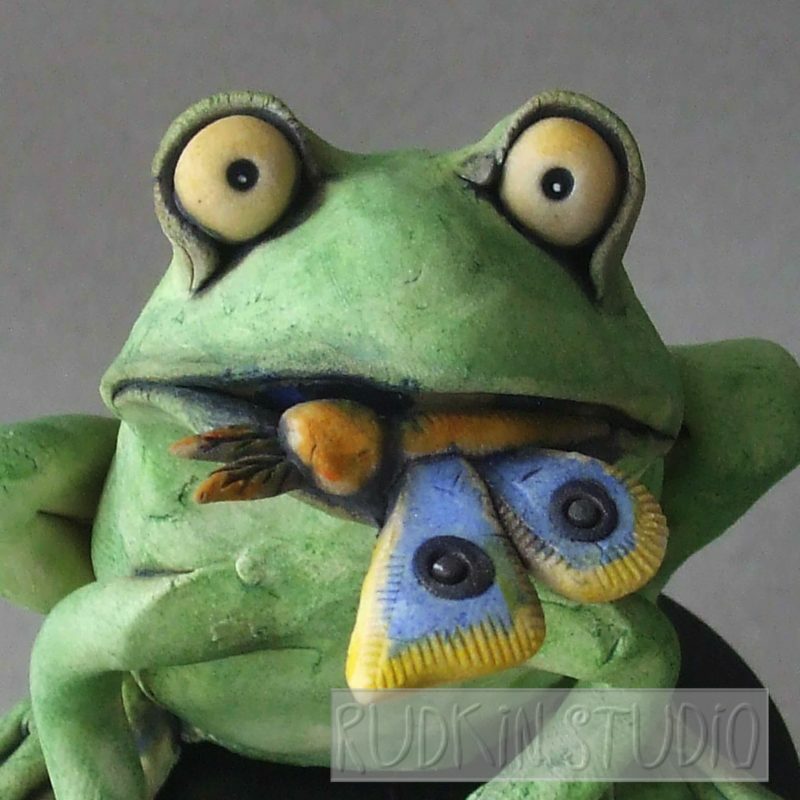 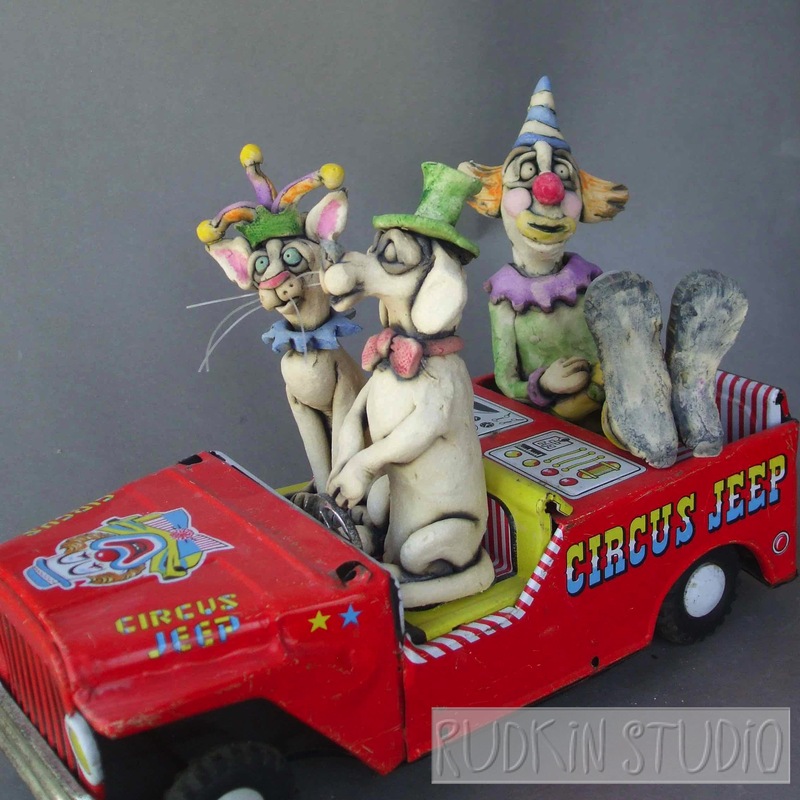 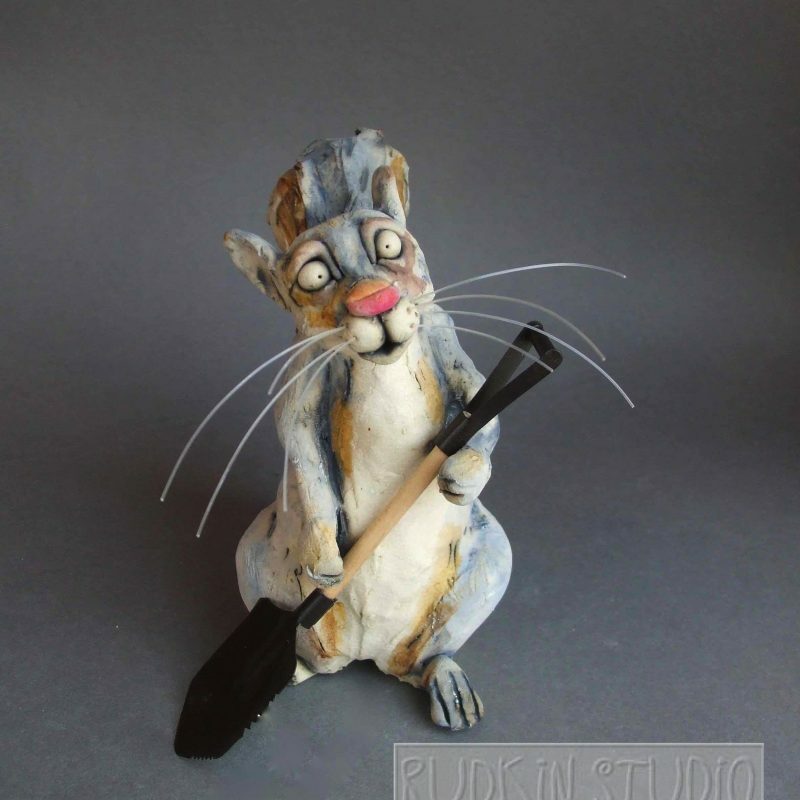 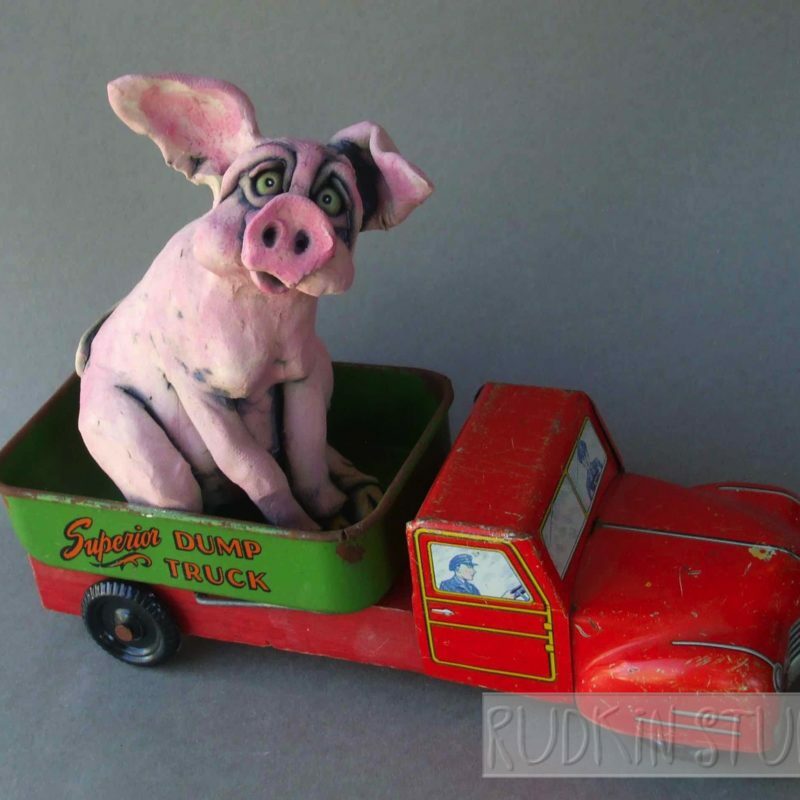 Every one of Rudkin Studio’s ceramic animal sculptures is handmade and unique, each with its own soul. 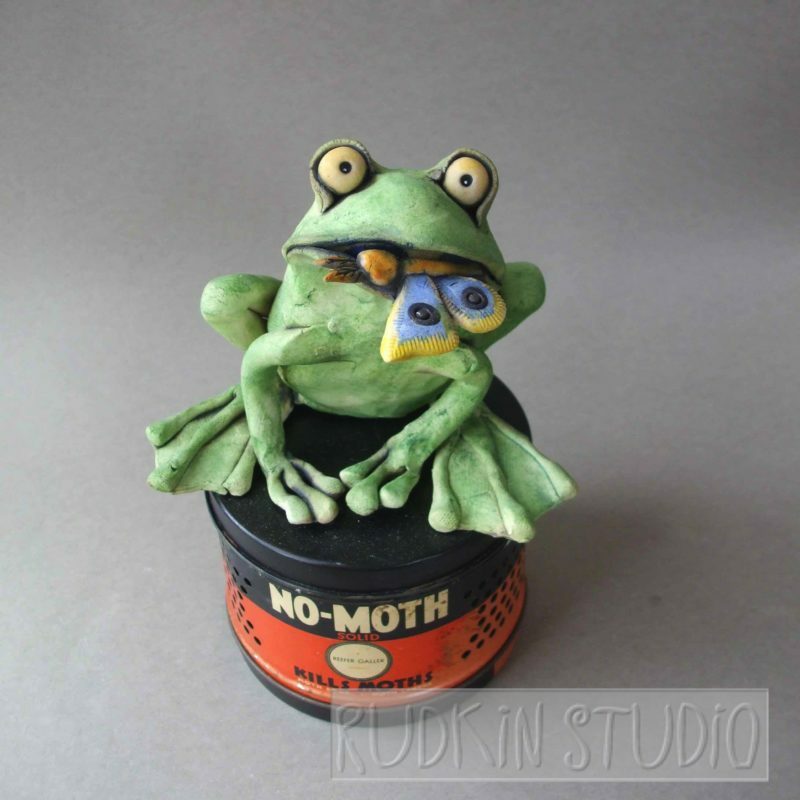 No piece is done until it looks as if it could hop, scurry, or bound off the sculpting table. 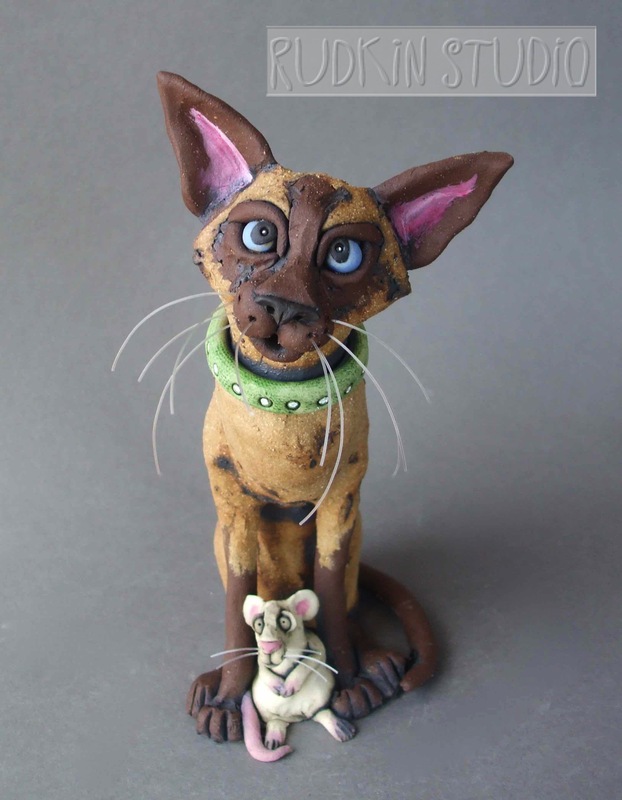 These enchanted animal sculptures are one-of-a-kind, hand-formed works of art that are guaranteed to add cheer to any home. 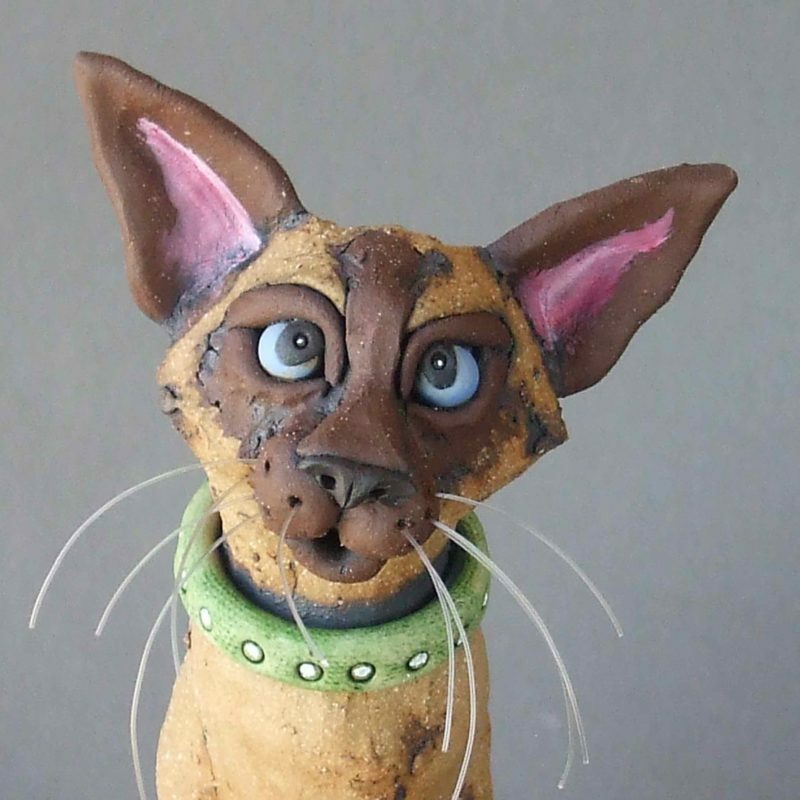 I love the natural colors and textures of clay. 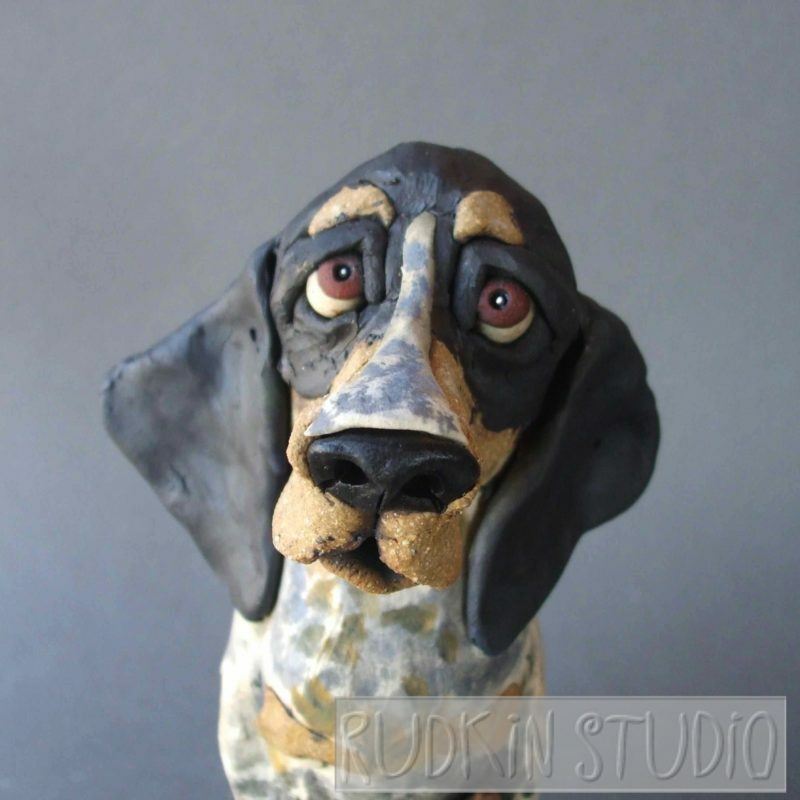 I try to get much of the color in my sculptures from different-colored clay bodies and I finish my work with stains and color washes that highlight the beauty of the clay rather than glazes that cover it. 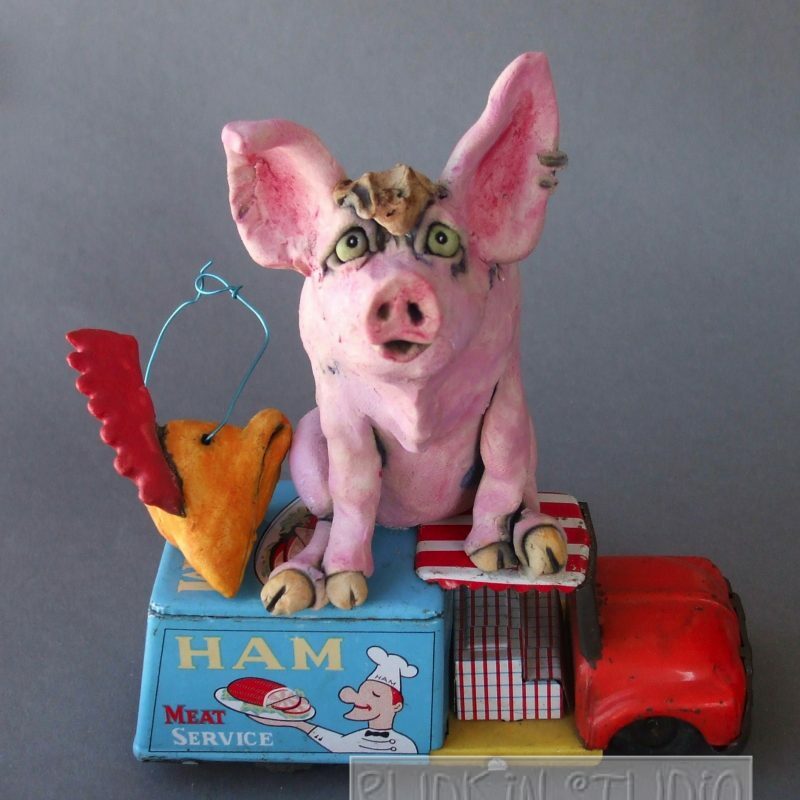 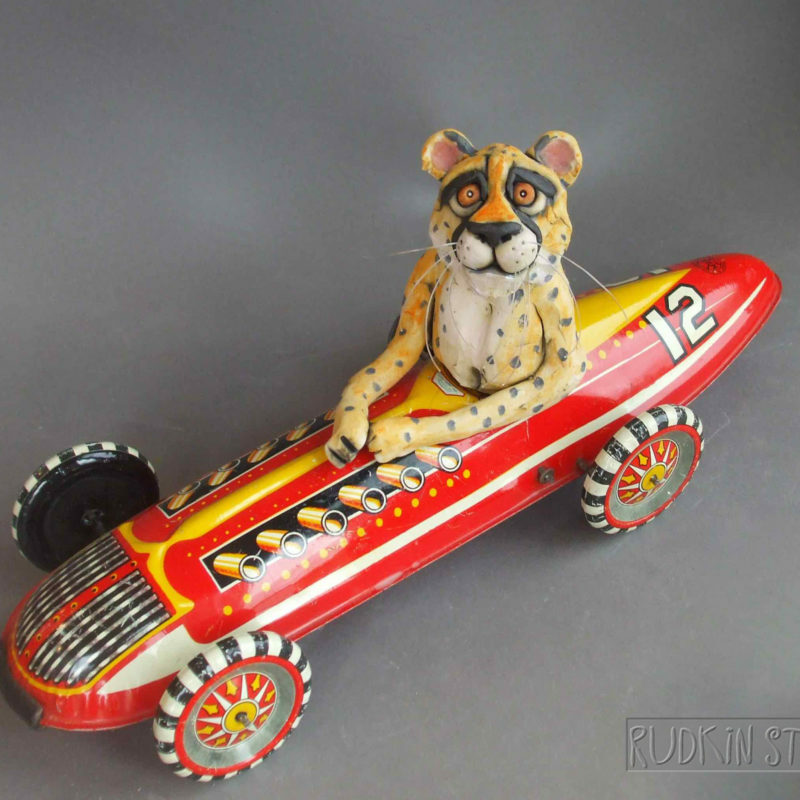 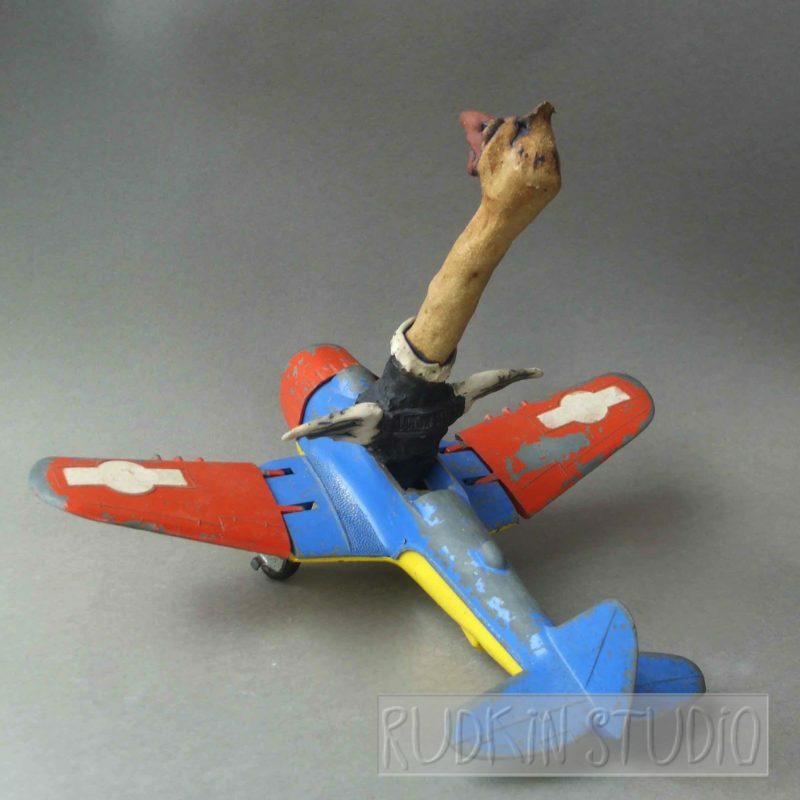 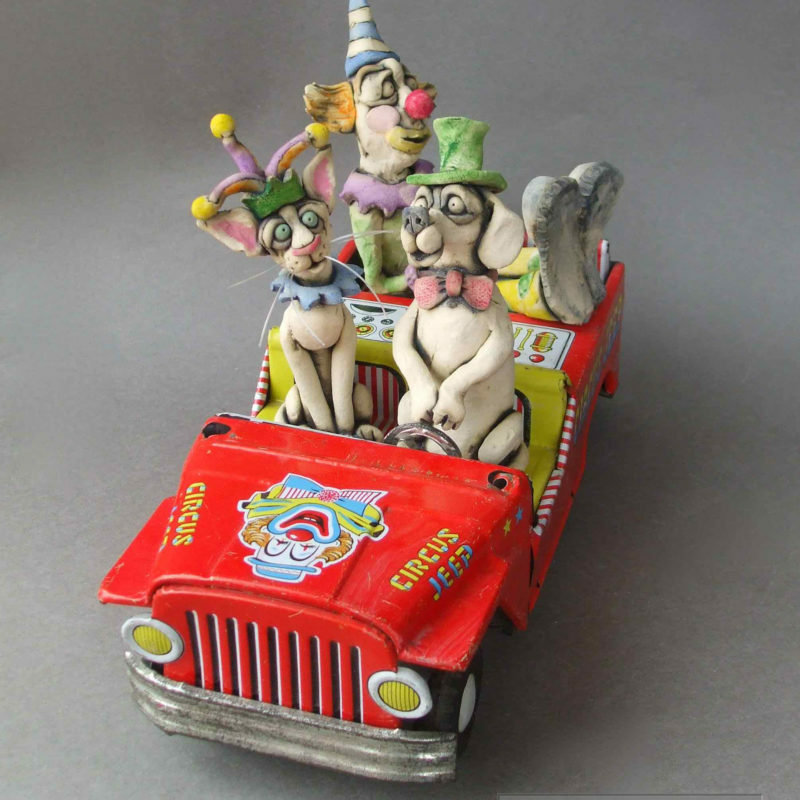 I also love antique toy and often build ceramic animals on antique toys. 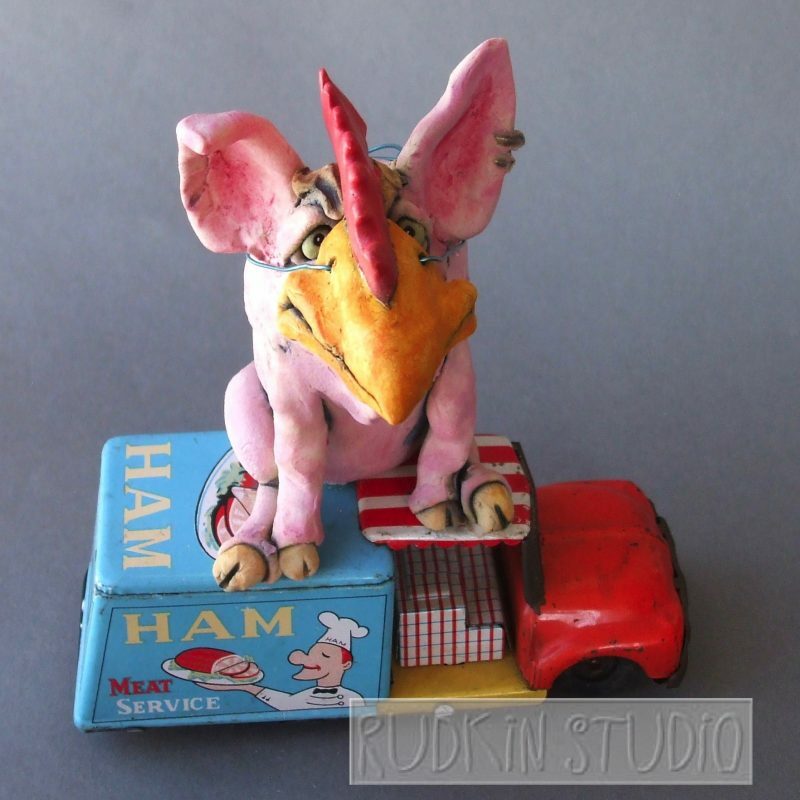 I love creating animal riders that give new life to old toys. 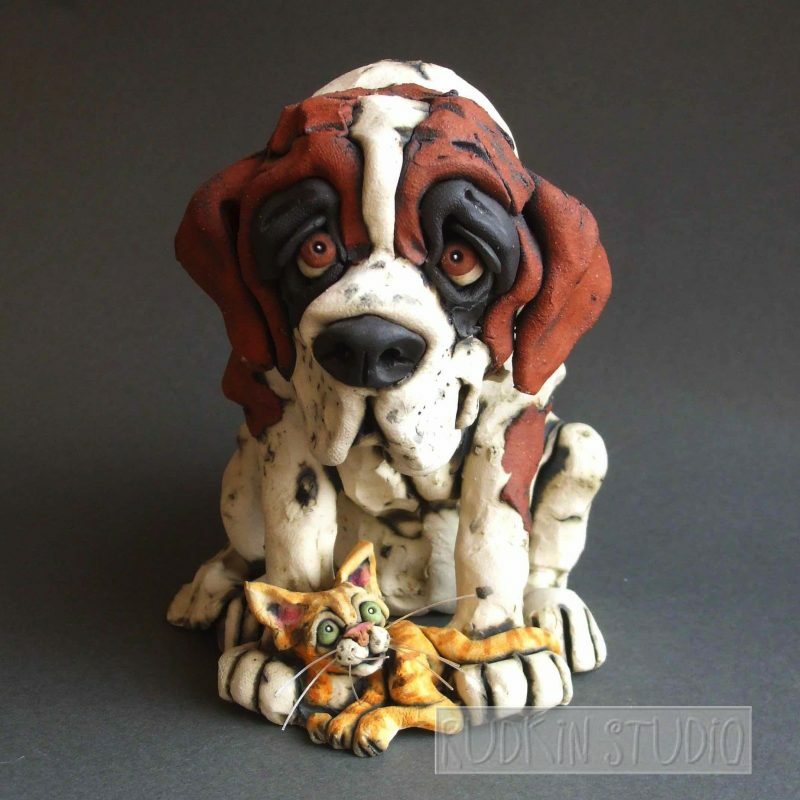 Click on the images below to see bigger photographs of the available ceramic animal sculptures and to learn more about them. 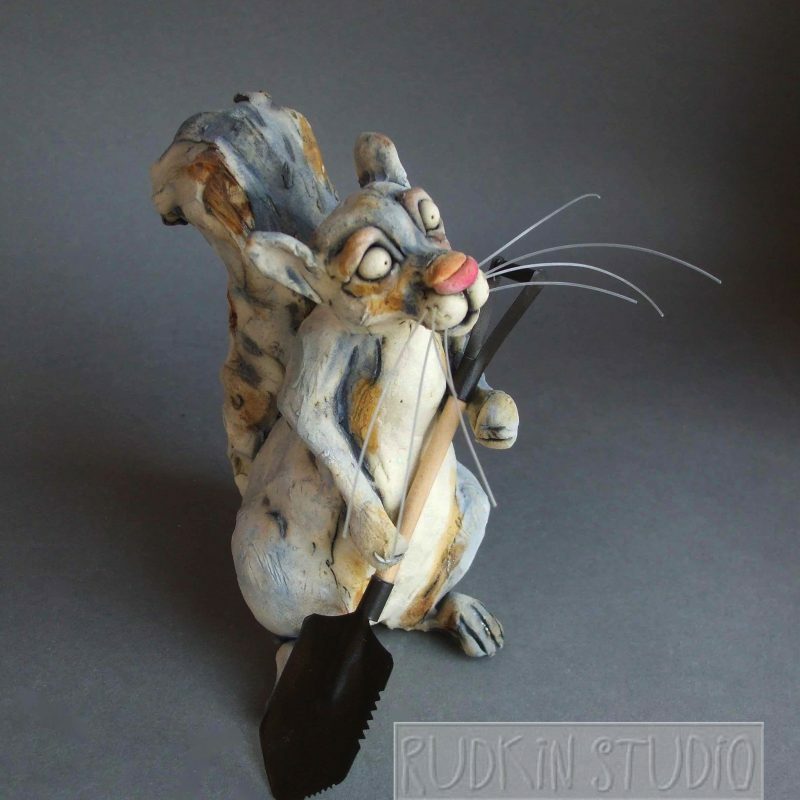 Click on Sculptures on Etsy to see a preview of sculptures currently available in my Etsy Shop . 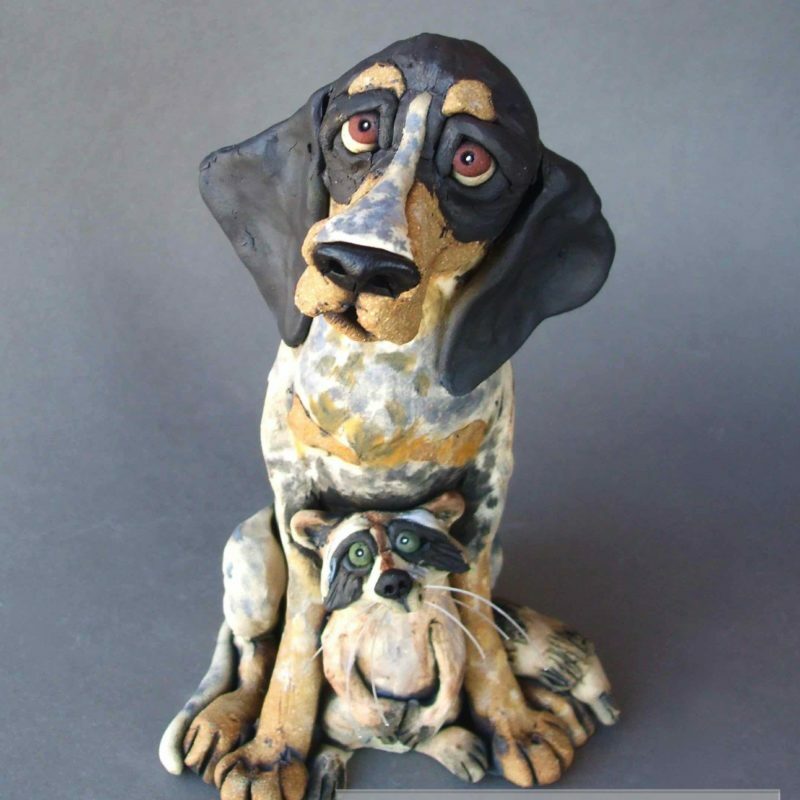 Click on Sold Sculptures to see sculptures that have already found homes. 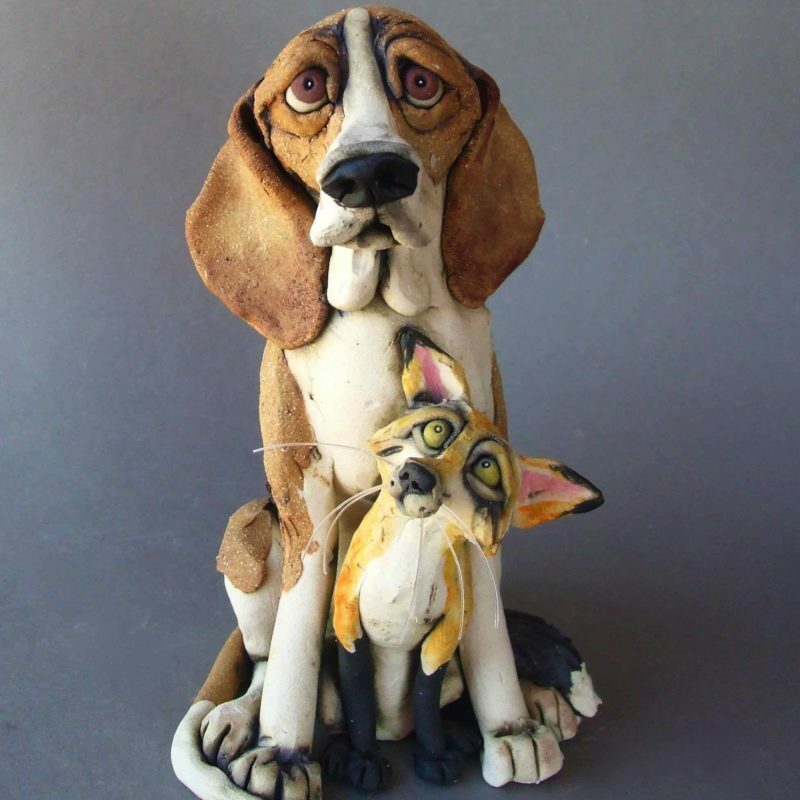 If a sold piece captures your heart, I may be able to re-create it. 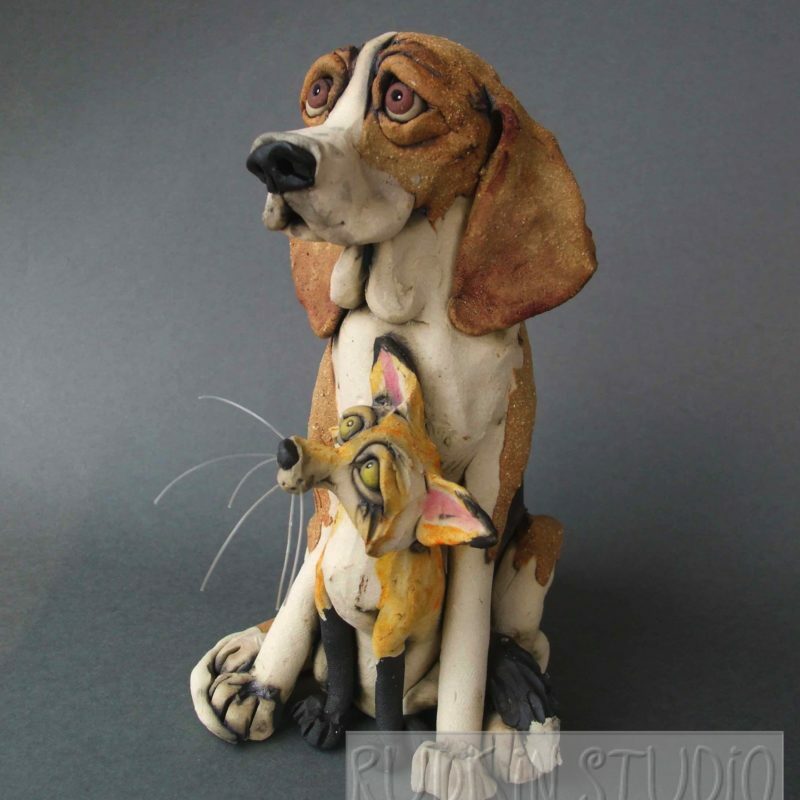 Coonhound Sculpture with Raccoon – Can I Keep Him?